*Keep in mind that your first and primary source for settings and service information should always be the Suzuki Owner’s Service Manual, so this should be considered an additional help-aid for set-up. 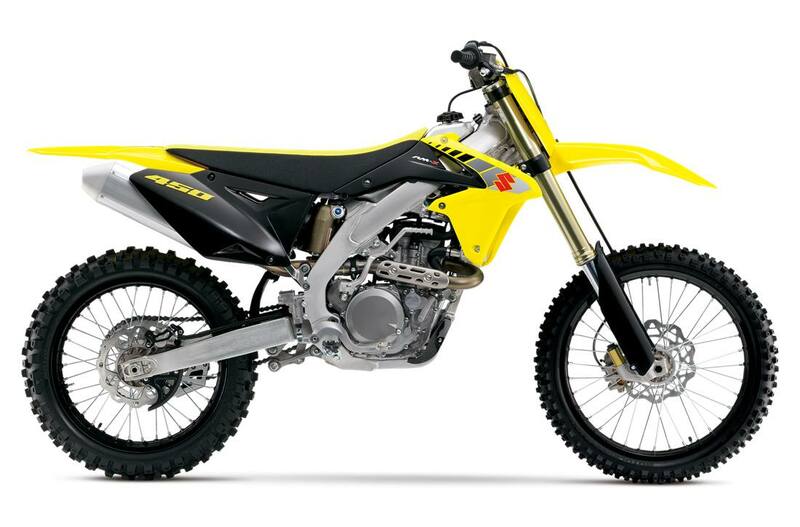 The RM-Z series motorcycles are for closed-course competition use and related practices only. For your safety, always wear a helmet, eye protection, and protective clothing when riding any motorcycle or ATV. Never ride under the influence of alcohol or other drugs. Study your owner's manual and always inspect your Suzuki before riding. Take a riding skills course. For the MSF street course nearest you, call 1-800-446-9227. Off-road riders can enroll in the DirtBike SchoolSM by calling 1-877-288-7093. ATV riders can call the SVIA at 1-800-852-5344 and we’ll even pay for the training. Suzuki engineered the GSX-Rs™, Hayabusa, and the QuadSport Z400 for experienced riders. Specifications, appearances, equipment, color, features, materials and other items of “SUZUKI” products shown are subject to change by manufacturer at any time without notice.